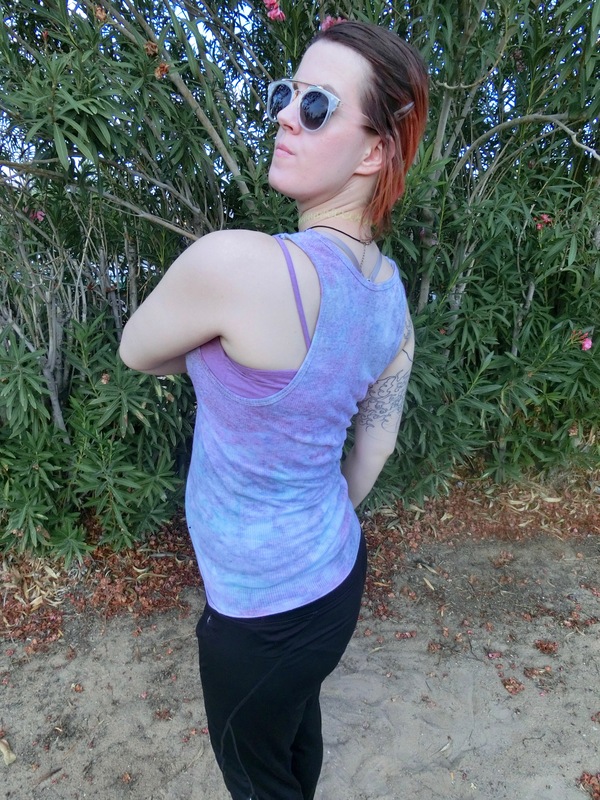 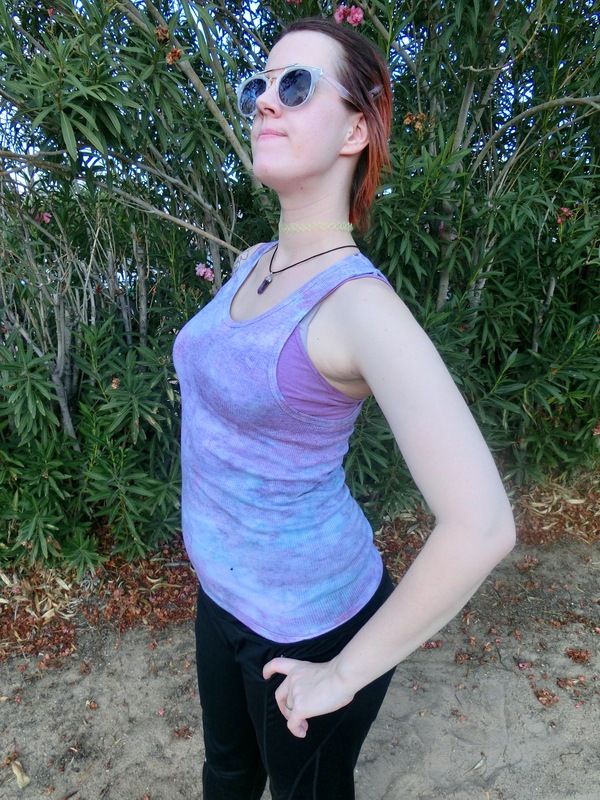 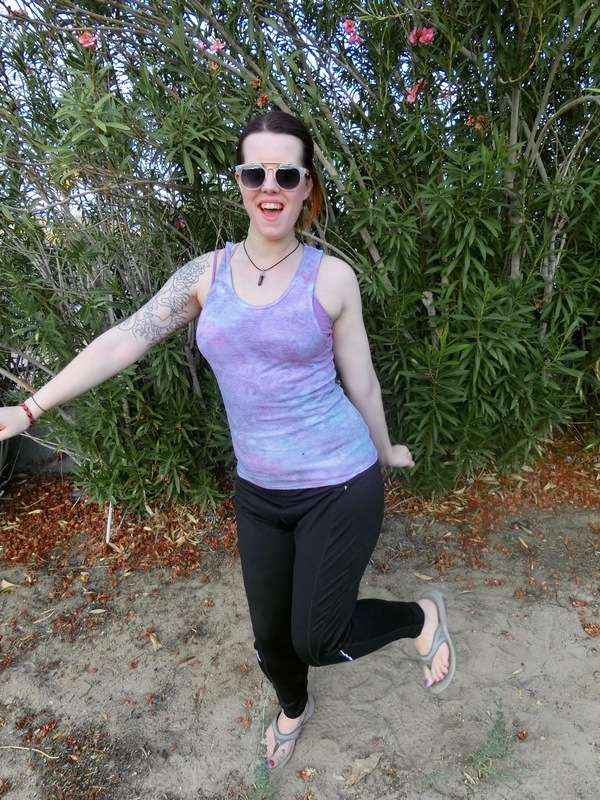 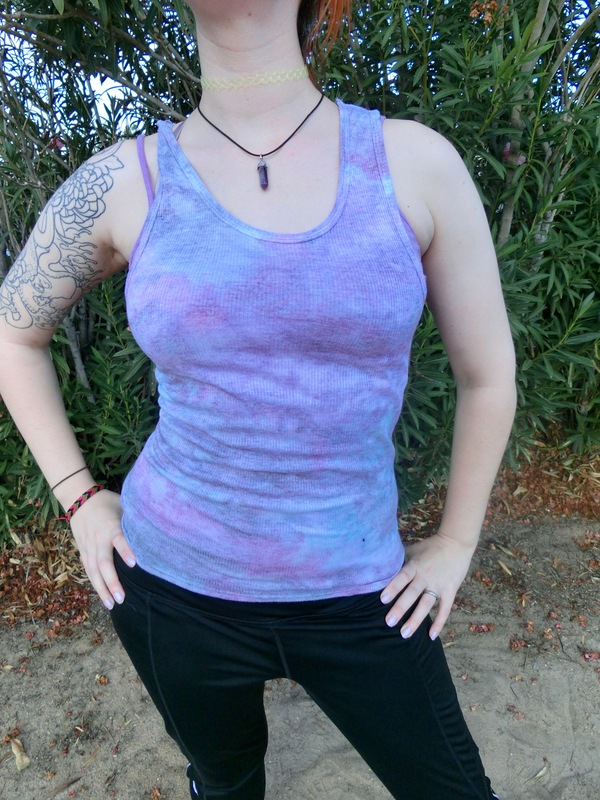 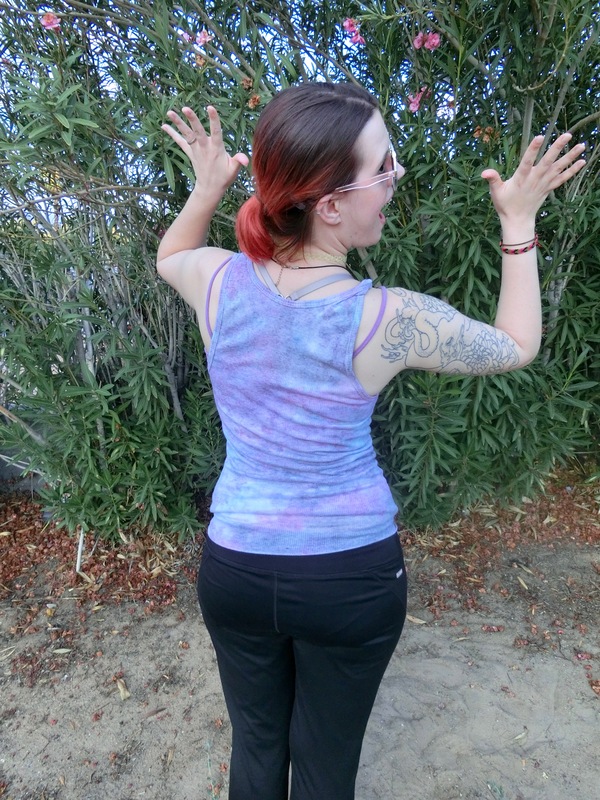 Adult size Large pastel purple, pink and blue tank top. 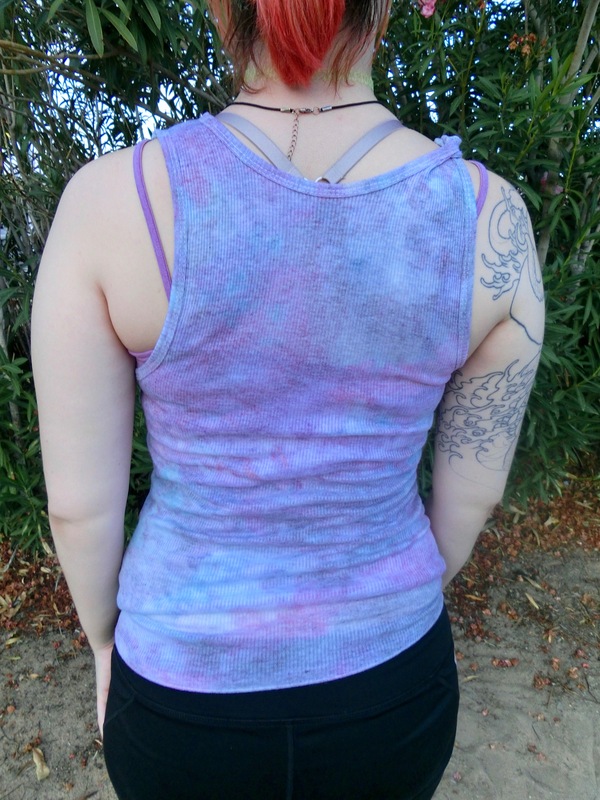 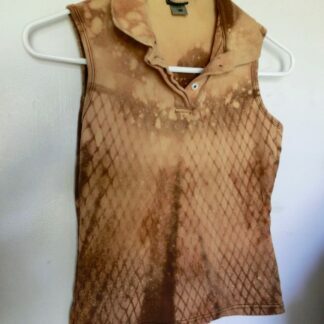 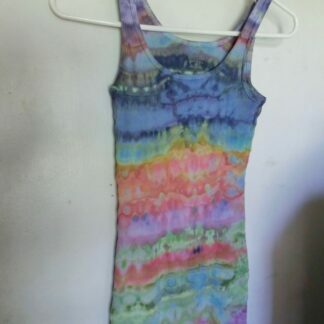 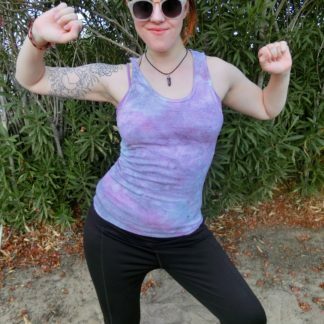 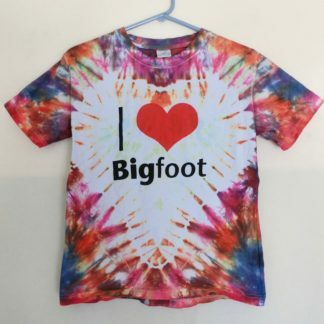 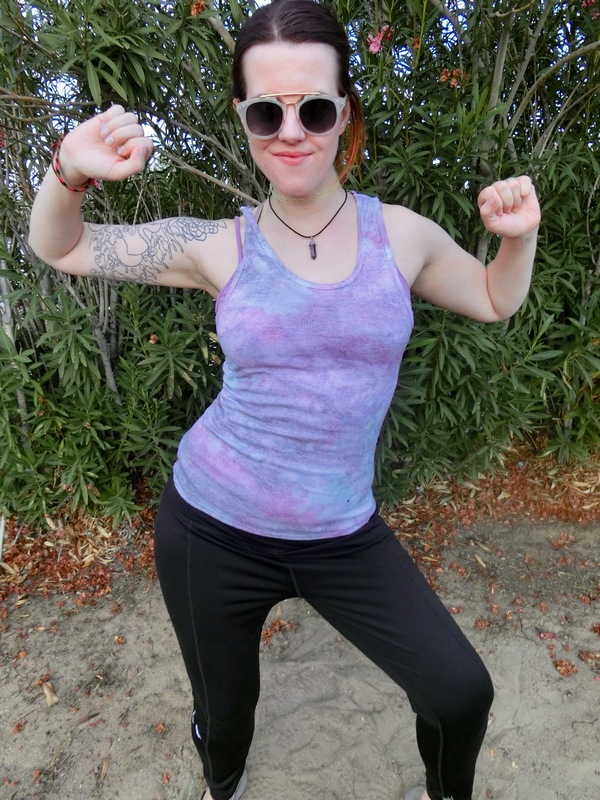 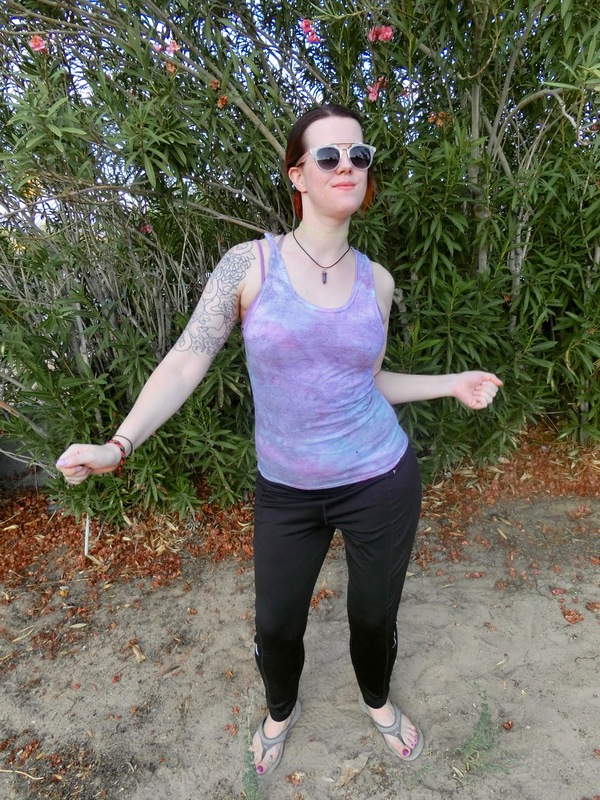 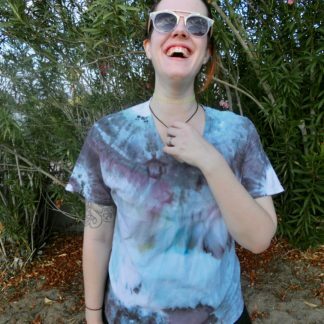 This groovy hand-dyed large tank top is made of soft, pre-shrunk & pre-washed cotton and colors are guaranteed not to bleed! 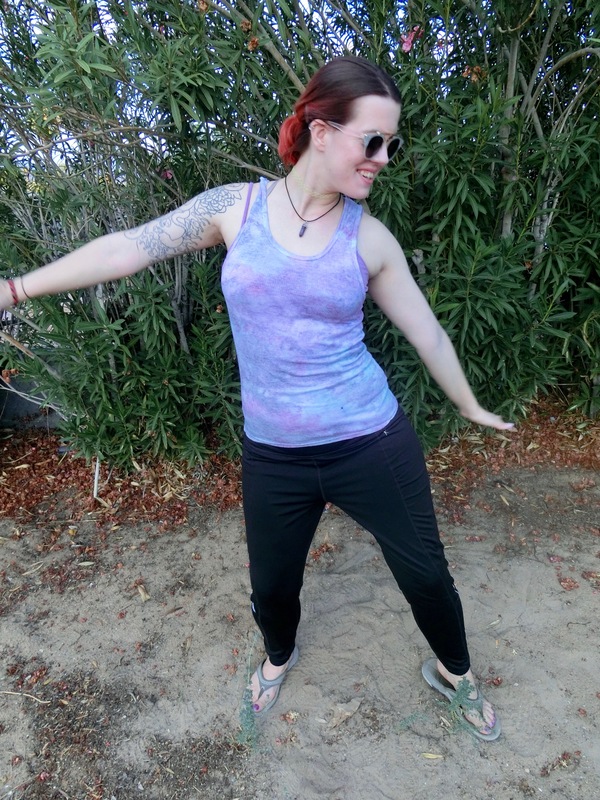 Cool tones dance in this comfy summer style! 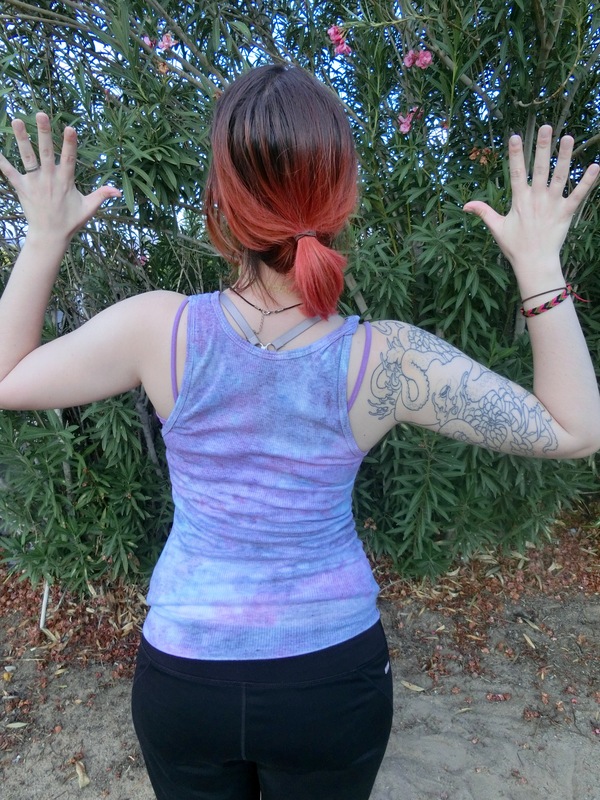 These tank tops are super comfy and perfect for anything your happy heart desires! 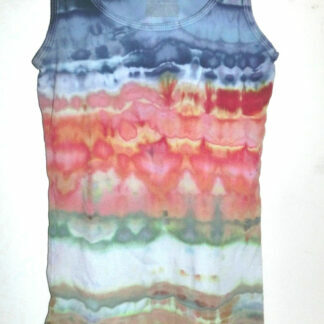 65% cotton 35% polyester preshrunk Michael Adams brand cotton tank top. 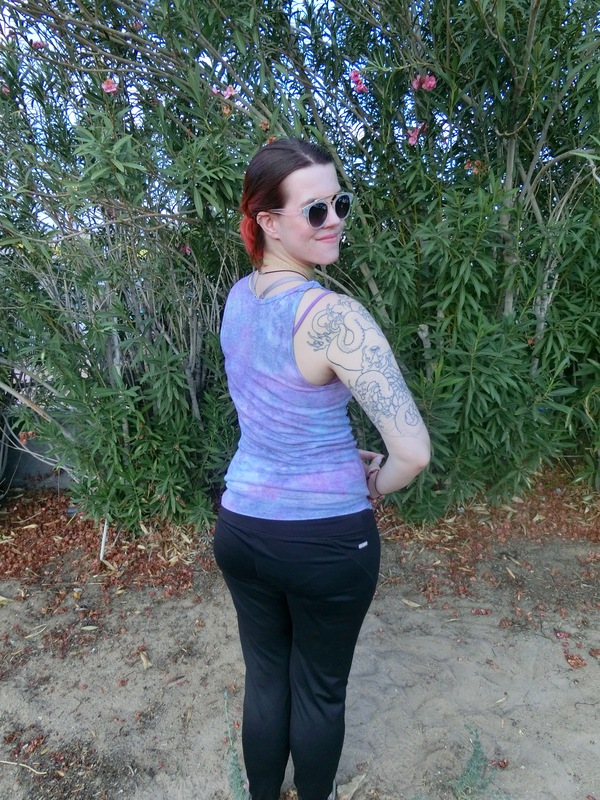 Sizes can run small!